To celebrate the first anniversary of Graceful Explosion Machine, developer Vertex Pop shared a blog post today looking back on the game’s creation and more. You can read the full thing here. 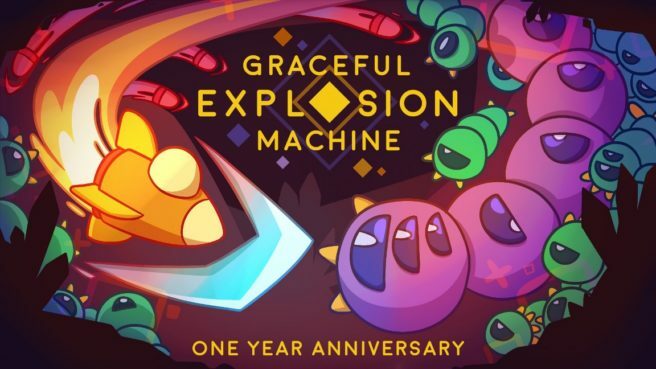 According to Vertex Pop, Graceful Explosion Machine has sold just under 50,000 copies on Switch. As it looks towards the future, the studio has confirmed that a new game is coming to Nintendo’s console in 2019. Details are mostly nonexistent at this point, but we can say that it’s an action title, and it will be colorful.